Toshiba took the wraps off a new line of business notebooks and mobile workstations today. Each machine is manufactured from magnesium alloy and is powered by a fourth-generation Intel Core processor, with vPro technology and Trusted Platform Module (TPM) support. All five of the new machines can be mated to the same optional dock, so that IT departments can source just one port replicator no matter which new Toshiba laptop they purchase. Each of the new Portege and Tecra notebooks is outfitted with three USB 3.0 ports, full-size VGA and HDMI ports, an SD card reader, gigabit ethernet, and a dual-band 802.11ac Wi-Fi adapter. Some Ultrabooks—such as Lenovo’s X1 Carbon Touch—omit the ethernet adapter altogether, but I like Toshiba’s innovation: The adapter is upside down, so that your finger pushes the retaining clip down from the top to release it, instead of squeezing it up from the bottom. I'm cooler about Toshiba's decision to drop DisplayPort in favor of HDMI. HDMI is fine on consumer gear, but it lacks DisplayPort 1.2's daisy-chain feature for connecting multiple displays. Toshiba provides both display interfaces on its optional port replicator. Since businesses tend to be more conservative when it comes to supporting new operating systems, Toshiba will ship the notebooks with Windows 7 Professional preinstalled (Windows 8 Professional will be available as an upgrade option). The 14-inch Tecra Z40 and 15.6-inch Tecra Z50 can be ordered with Intel's Core i5 or Core i7 mobile processors, up to 16GB of memory, and mechanical hard drives up to 750GB or SSDs up to 512GB. Toshiba will offer Nvidia GeForce 730M discrete graphics processors as options on both models. The 13.3-inch Portege Z30 will have similar specs, with the exception of the discrete graphics option. The Portege Z30 measures 0.7 inch thick and weighs 2.6 pounds. The Tecra Z40 is 0.8 inch thick and weighs 3.2 pounds. The Tecra Z50 is also 0.8 inch thick, but heavier at 3.9 pounds. All three models use Toshiba’s AirFlow II cooling technology, which features a secondary heat pipe adjacent to the cooling fan. The heat pipe is designed to distribute heat more evenly across the bottom of the notebook, eliminating hot spots as you use the computer on your lap. Prices will start at $1279 for the Portege Z30 and $1229 for the Tecra Z40 when the computers go on sale October 18. The Tecra Z50 will also start at $1229, but it won't be available until the end of November. The Portege R30 is an unusual Ultrabook in that it includes a DVD burner. 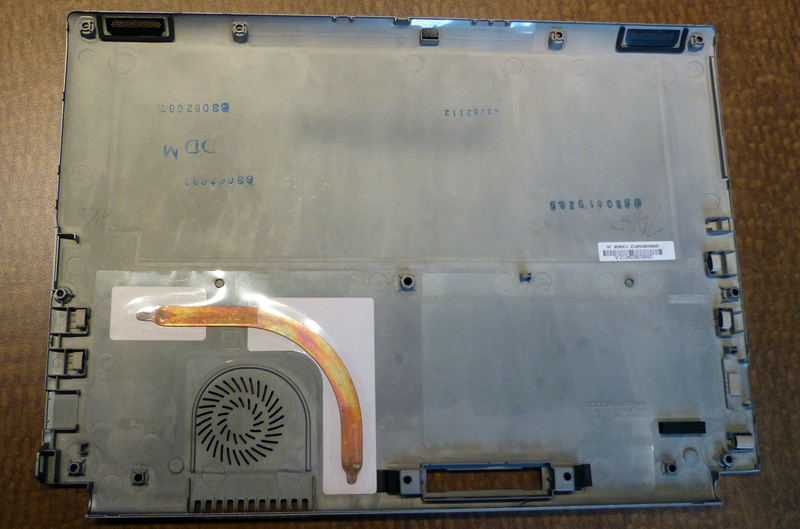 Most manufacturers omit this feature in order to reduce the notebook’s thickness. And in fact, the Portege R30, which Toshiba describes as “about one inch thick,” might not comply with Intel’s baseline requirement that a notebook must be 0.90 inch or thinner to be marketed under the Ultrabook brand. Intel’s baseline doesn’t include a maximum weight, and the R30 comes in at 3.2 pounds. That’s not bad considering it has an optical drive. Toshiba didn’t disclose pricing for the Portege R30, but indicated that the notebook would be available at the end of November. 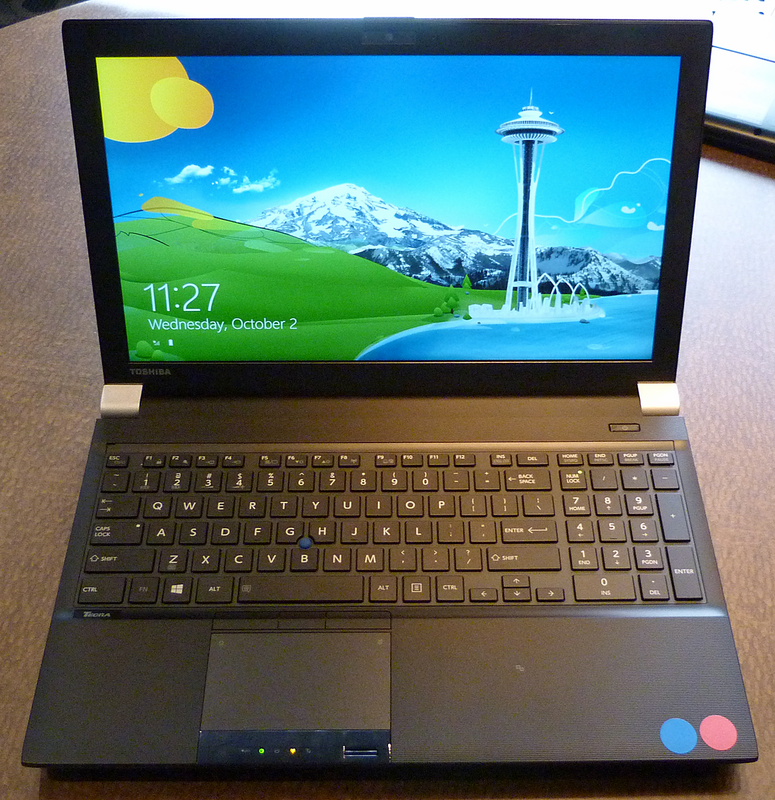 Toshiba’s Tecra W50 mobile workstation is designed for people who need a desktop replacement. The 15.6-inch notebook features a fourth-generation Intel Core i7 processor coupled with an Nvidia Quadro discrete graphics processor with a 2GB dedicated frame buffer. The Tecra W50’s motherboard has four memory slots to accommodate up to 32GB of memory. I/O ports include HDMI, VGA, gigabit etherent, two USB 3.0 ports and one USB 2.0 port, an eSATA/USB combo port, and an optional mini serial port. The Tecra W50 will be available October 18, with prices starting at $1999.